... wanted to share with you this holiday gem in our shop! 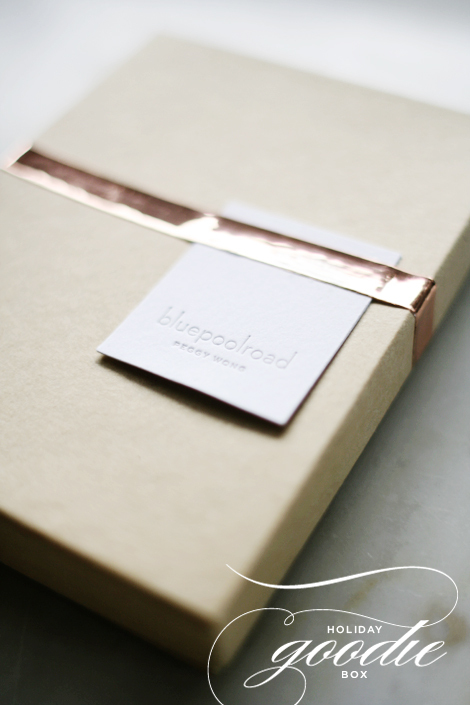 filled with new + vintage paper goods... my favorite detail has got to be the rose gold metallic band on the kraft paper box. click here to see what's inside! Yay! I'll need to get that & some holiday cards this week!! ME too! They're so beautiful! Peggy - How lovely! The packaging is stunning, too. Nice work!